From township municipality in 1897, Guigues became a municipality and renamed Saint-Bruno-de-Guigues in 1912 in honor of the first bishop of the county, Mgr Joseph-Eugène-Bruno Guigues. This dynamic community offers various attractions to visitors, including the Domaine Breen, built in 1906; the Dénommé covered bridge, built in 1933; the new Balado Découverte audio heritage tour, to learn about the history of Guigues; and of course the famous Festival Western. This is where the Wright Mine, Canada’s first silver mine, was operated from the late 1800s to its definitive closure in 1952. 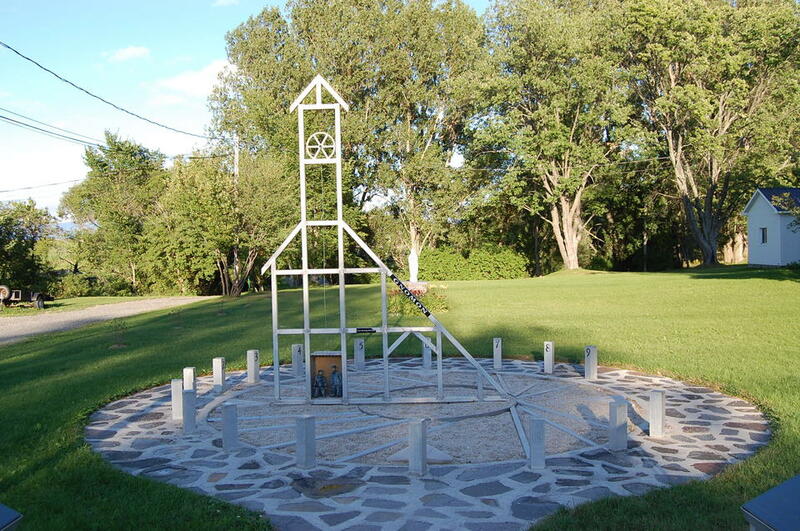 To commemorate this particular era, the municipality had a replica of the mine shaft made and incorporated into a sundial structure of 5 m in diameter and 3 m in height. Agriculture and small businesses are the economic engine of this peaceful area bordering Lake Témiscamingue.